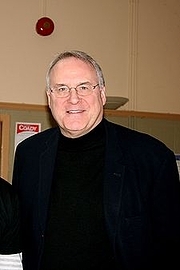 Ken Dryden, author of The Game: 30th Anniversary Edition, will be signing copies of his book at Bookends in Ridgewood, New Jersey on December 1 at 3:00 PM. Ken Dryden is currently considered a "single author." If one or more works are by a distinct, homonymous authors, go ahead and split the author. Ken Dryden is composed of 2 names. You can examine and separate out names.